Sprung manufactures highly insulated structures engineered to provide better climate control with optimal heating and cooling efficiency. This virtually airtight system, combined with a fully lofted layer of fiberglass blanket insulation and tensioned interior membrane, contribute to a highly efficient insulated building solution. Sprung’s insulated buildings are the best on the market. Don’t believe us? Just keep reading! We’re the only provider of insulated structures that use formaldehyde-free fiberglass. Healthier Structures – It’s the only formaldehyde-free fiberglass product of its kind in the world providing a healthier environment within our insulated buildings. 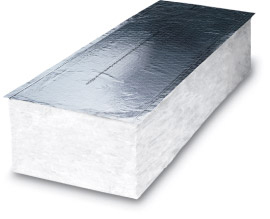 Better Energy Efficiency – Our insulation structure includes an aluminum foil backing that retains or reflects overall radiant energy, maximizing efficiency and cost savings for years to come. More Sustainability – Our fiberglass is certified by Scientific Certification Systems (SCS) to have a minimum recycled content of 25%, comprised of 20% post-consumer bottle glass and 5% post-industrial glass. 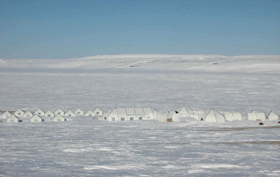 Providing you with quality, sustainable, insulated buildings. Our insulated structures use a layer of formaldehyde-free fiberglass blanketing, up to 9-inch thick (R-30), which performs better than the smaller thickness typically used in metal and conventional construction – helping to reduce climate control costs and absorb sound for better acoustics. Our highly tensioned exterior architectural membrane provides significantly more airtight insulated buildings than one might expect. Our structure has an insulated envelope that allows insulation to retain its maximum thickness and achieve better performance and comfort. 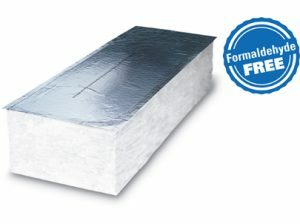 The unique design of a Sprung insulation structure ensures a more consistent R-value rating (the measure of thermal resistance). The continuous wall and roof channels, throughout the building provide maximum performance from grade to peak. Insulation in metal buildings is compressed throughout, significantly lowering its overall R-value rating. When you erect a Sprung insulated structure, it typically comes complete with our interior membrane that is more durable than drywall and offers exceptional fire-retardant capability. 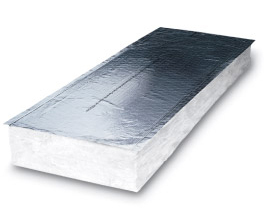 Our system includes a double vapor barrier including reflective foil backing that retains and reflects radiant heat, adding to overall energy efficiency. The Sprung structure insulation system comes with an attractive color-matched exterior thermal cap and a white or black interior thermal cap that provides thermal bridging on the beam, perfecting the overall insulating capabilities. Customize your Sprung insulated structure by choosing from our selection of unique, stylish and functional options for industrial and commercial applications. the life of your structure. Formaldehyde-free fiberglass blanket insulation, Sprung structures offer better performing insulation.